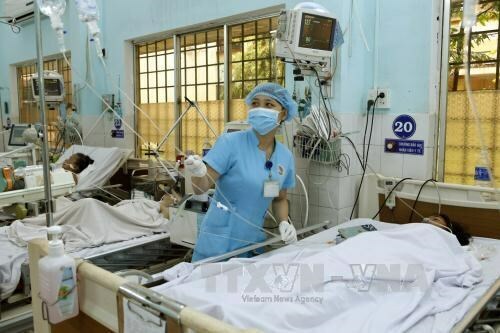 Hanoi (VNA) – The Prime Minister has approved the local healthcare investment and development programme for 2016-2020. The programme is expected to contribute to hitting the target of 26.5 patient beds for every 10,000 people by 2020. Total capital for the progamme exceeds 19.8 trillion (871 million VND), nearly 2.4 trillion VND (106 million USD) of which will be mobilised from state funds, 4.94 trillion VND (217.3 million USD) from official development assistance and other assistance funds, with 10 trillion VND (440 million USD) from local budgets and 2.5 trillion VND (110 million USD) from other sources. Helping clinics and healthcare centres reduce patient overload in hospitals is part of the three-component progamme. The healthcare sector will also upgrade and expand local general hospitals and supply medical equipment to them. Meanwhile, the second project will prioritise traditional medicine hospitals and improving the quality of examinations using traditional and modern medicine.